Indeed, the white stuff started flurrying on Sunday night, dusting the ground just enough to hide the dirt. 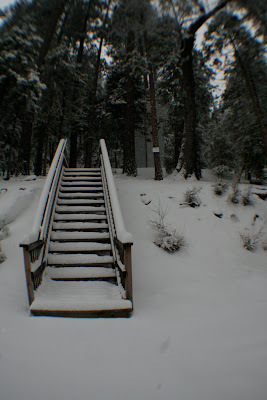 Satisfied with any amount of snow, Camp Wawona staff went to bed not expecting a large amount of snow to greet them in the morning. When they awoke, about two inches lay on the ground and it was still snowing. 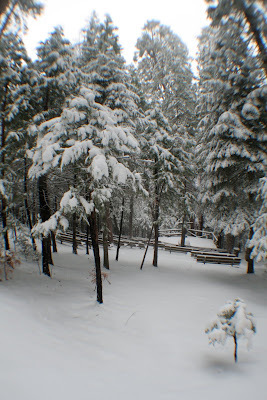 As camp staff met for worship they noticed it was snowing a bit heavier...accumulating at about an inch per hour. 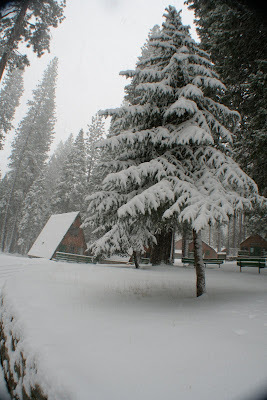 By evening the two inches had grown to 14 with a little over a foot of snow falling from 8 A.M. to about 3 P.M. 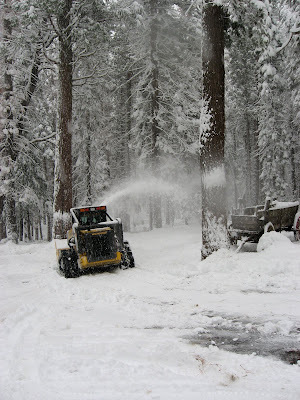 The first snow gave camp staff a chance to operate the snow blower attached to the front of the skid steer. 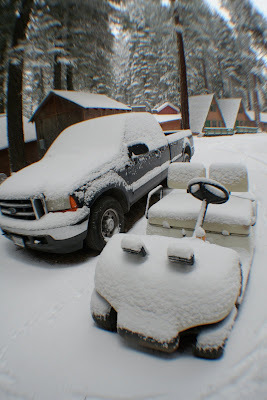 Mariposa County was kind enough plow Forest Drive so the camp plow trucks weren't needed just yet. Just as the sun was setting, the staff took a few moments to enjoy some sledding and a few snowboard runs from the pool to the cafeteria. This blog touches my heart. the snow is melting now and i'm so sad! hopefully it will dump more this weekend!